With Halloween around the corner, it’s time to start making fun plans that include your dogs! Belle Mead Animal Hospital will be participating in two local events this year, and we invite you to join us! 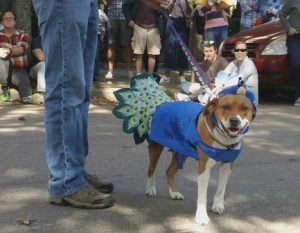 Animal Alliance of New Jersey has scheduled their 14th annual Pet Masquerade Parade on Saturday, October 20, 2018 in Lambertville, New Jersey from 12:30 – 2:00 p.m. (Rain Date Sunday, October 21). Belle Mead Animal Hospital is one of the proud sponsors of the event. The event will be staged at the Mary Sheridan Park on York Street. There is a $15 registration fee for each pet registered in the Pet Masquerade contest/parade with many different categories and chances to win! 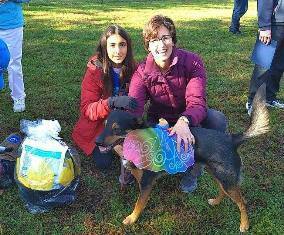 Once again BMAH will host a vendor table at the annual HOWL-O-Ween Dog Parade and Costume Contest organized by Hillsborough Parks & Recreation. The event will take place at the Ann Van Middleworth Dog Park on Saturday, October 27. You can attend and participate for free, and those in the parade can register starting at 8:30 a.m. The parade will begin at 9 a.m. at the Pavilion. There will be prizes for category winners at end of the procession! Read about last year’s event here: Howl-O-Ween at the Hillsborough Dog Park! Again, we hope to see you there! 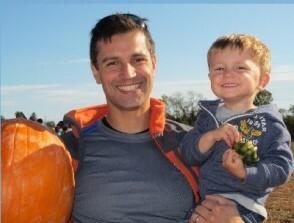 This entry was posted in Events, General Pets, News and tagged Events, Halloween, Pets. Bookmark the permalink.